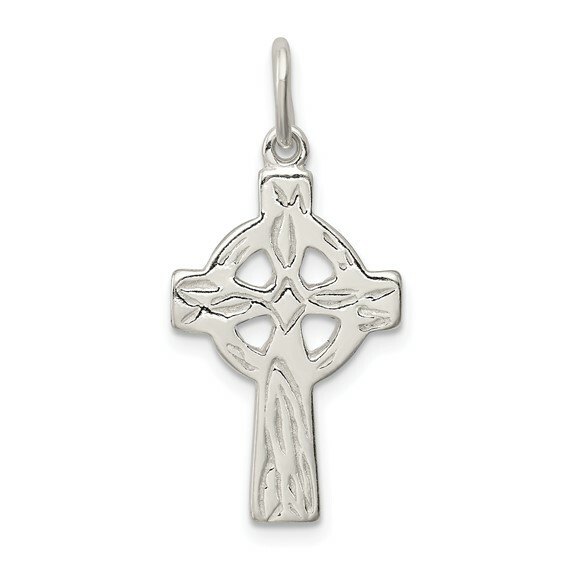 Celtic and Iona cross charm is made of polished, solid sterling silver. Flat, textured back. Weight: 1.5 grams. Measures 7/8 inch tall by 1/2 inch wide with bail. This item is the size of a nickel. Originating in Ireland and taken to the Island of Iona by St. Columbia, the circle around the cross symbolizes eternal life. Chain not included. Made in USA.